Isiah Factor | The Insite » FETUS FOUND ON CONTINENTAL AIRLINES PLANE! FETUS FOUND ON CONTINENTAL AIRLINES PLANE! 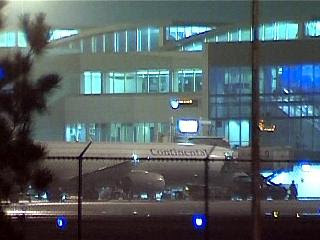 March 31, 2008 | Posted in Uncategorized | Comments Off on FETUS FOUND ON CONTINENTAL AIRLINES PLANE! A YOUNG GIRL IS BEING QUESTIONED! Investigators have questioned a 14-year-old girl they suspect gave birth in the bathroom of a Continental Airlines plane in Houston, police said Monday. Police said preliminary results of an autopsy on the fetus indicated it was stillborn and not viable. Police were called to Bush Intercontinental Airport after a cleaning crew found the fetus inside a wastebasket in the airplane bathroom about 15 minutes after the plane landed Sunday afternoon. The Boeing 737 plane landed in Houston on a non-stop flight from New York’s LaGuardia Airport. The plane, which was about 30 minutes late, carried 144 passengers and six crew members. Police questioned the juvenile late Sunday night. Cannon said he did not immediately know where she was from. Houston police are involved because the fetus was discovered within the city limits. Julie King, a spokeswoman for Houston-based Continental Airlines, declined to comment Monday.